The City of Santa Rosa is inviting non-profit organizations to apply for grant funding for events that help promote the City. Each year the Santa Rosa City Council allocates Community Promotion Funding in the form of City services and/or cash support in an effort to promote its rich assets such as the downtown and to foster inclusivity among its diverse population. “Santa Rosa pleased to offer funding for events that bring community members together to enjoy the many things our City has to offer,” said Mayor Chris Coursey. Santa Rosa has a rich tapestry of attractions and cultural and recreation opportunities, drawing visitors from near and far. Downtown Santa Rosa, including the central Old Courthouse Square and historic Railroad Square, is a thriving hub of shopping, restaurants, nightclubs, and theaters. Each year the City is home to dozens of community events ranging from the Cinco de Mayo Celebration to the Amgen Tour of California that contribute to the vitality of our beautiful city. 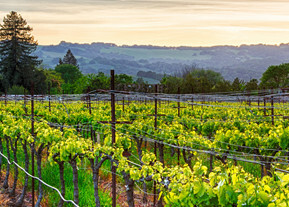 Santa Rosa events are one of the main reasons visitors come to Santa Rosa and Sonoma County. Activities must take place between July 1, 2017 and June 30, 2018. The activity should have broad-based community participation and be open to the public. The activity should generate revenue to City businesses (such as hotels, restaurants, vendors, etc.). The activity should take place within the City limits. The funding from the City cannot be the sole source of funding for the event. The funding cannot be used for salaries. The City Council has a budget of up to $125,000 in total annual funding to support various community promotion events. The deadline to apply for a Community Promotion Funding grant is March 10, 2017 by 5:00 p.m. Applicants will be notified of their acceptance status after the City Council budget hearings held in June 2017. Applications can also be found on the City's website. View a Community Promotions Application (PDF). For more information about the Community Promotions Funding Program, please contact Catherine Noceti at 707-543-3019 or via email.